What makes something a “computer”? In practical terms, the definition is getting steadily blurrier when it comes to music. With computation sipping power, generating less heat, and costing far less than before, that “computer” may find itself in places other than a big folding metal typewriter with a spendy display and a picture of a bitten fruit on the back. But the power of the computer – the ability to turn a magic box into the instrument or effect of your desiring – that stays. And that’s something that’s beginning to remake musical objects. Updated: for the technically minded, more details. The latest entry comes from none other than Critter & Guitari, the boutique east coast-American maker. They’ve been known for making peculiar instruments with wooden keys on them, twee oddities that are great quirky fun to play. But this time, the sonic innards are a great deal more flexible. The Organelle still has the 25 push-button keys made of maple wood and some knobs and an aluminum body (with plastic back). But it also has a new brain – a 1GHz ARM Cortex A9 core, capable of running Linux. It has audio jacks – a stereo input jack, headphone jack, and stereo outputs. But it also has, you know, computer-y things. There’s a built-in OLED display, two USB ports (which you can use to connect MIDI over USB), and an HDMI output port (which presumably is for the interface, but I’ll try to find more about whether video performance is possible). And the banner feature is the ability to run your own custom instruments and effects made in the free, graphical patching environment Pd (Pure Data). Pd has been seen lately on iOS and Android and embedded in games and other apps and even in proof-of-concept demos powering plug-ins, so it’s fast becoming the more platform-agnostic way to make your own stuff – and it’s totally free and open source. But if you don’t feel like trying to master it, Critter and Guitari are clearly still hoping that a community will share patches. The upshot is, the Organelle is like a more music-specific rival to devices like the Raspberry Pi. 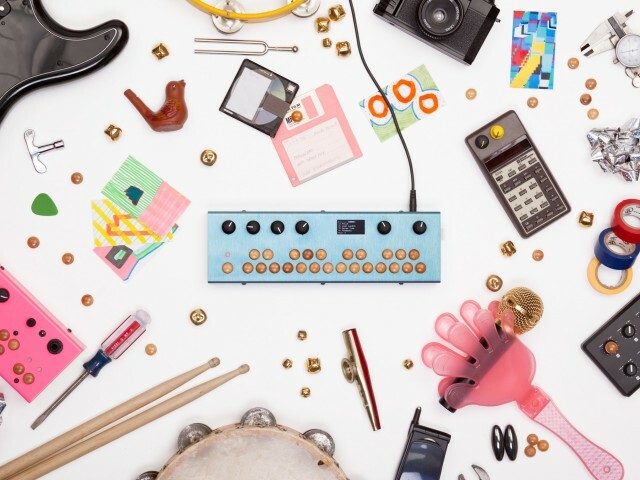 The Organelle isn’t the first device to try this – even Eurorack, in the form of modules like this one, is getting into the business of running free Pd and Csound stuff. To me, a big part of whether any device dose this effectively is down to the hardware/software integration and experience design, not to mention cost. Otherwise, you might as well just go with a more flexible and powerful laptop, even if it is a little clunky looking onstage. That said, there’s something beautiful about having a dedicated device – not just because it’s less distracting to use, but because you can more quickly get down to the business of music making on it. In this case, we know this – patches are loaded from USB sticks, you can use any Pd patch (as long as you’re within the capabilities of the hardware), and there will be an online repository for sharing patches with others. “Lower-level” sound creation is possible, too. Coming: later this year. Pricing: TBD. Sound samples coming soon (though of course it can sound like anything Pd can sound like). 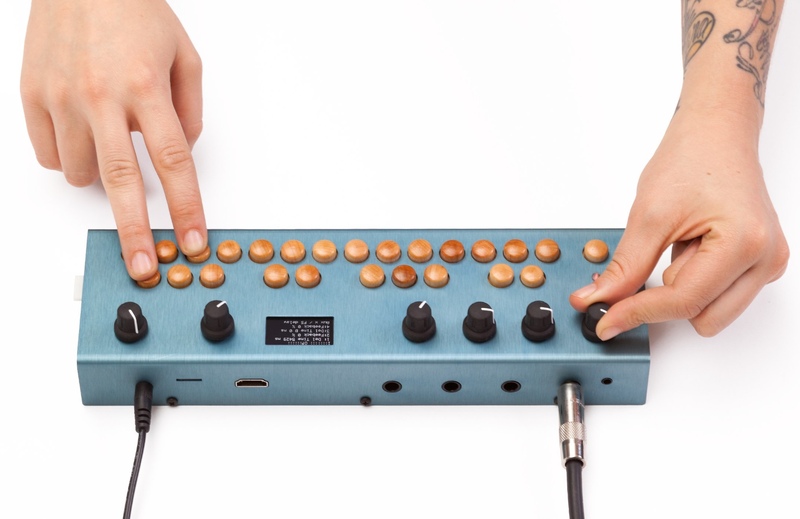 I’m very keen to hear more, so I’m talking now to the fine Critter and Guitari folk. Stay tuned. 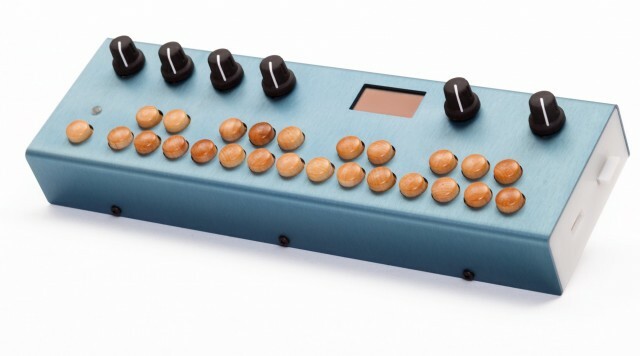 New Yorkers, you can get up close and person with the Organelle at Music Synth Fair in Brooklyn today, or at the Synth Expo at Main Drag Music on November 7 & 8.